I wanted bottom and top to be separated so I could mix and match without having to change textures manually every time. To do this I had to make bottom part loose and independent of body. This mean that they might no fit with whatever body you use until you wear a top along with them. I used a modified CBBE body that I found on http://skup.dip.jp so if you use an average CBBE body with weight slider to the left, they will most likely fit without clipping. Wearing the top will make your body change into the one I used. If you wear top only, your feet might not fit, unless again your weight slider are on the left most side. I didn't port hats for the simple reason that I never used them. 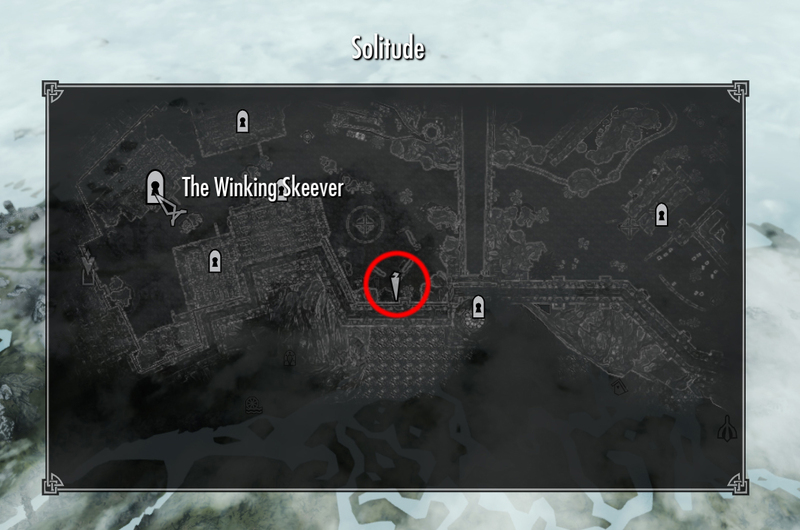 There's 18 of them and they are all in a barrel in Solitude around the market place. 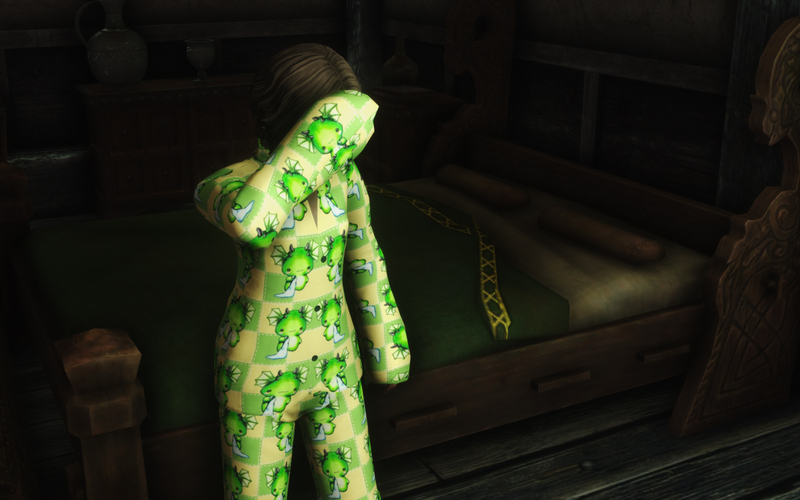 EDIT: When I first ported the pajamas, my version of Nifskope didn't show shader flags so I didn't know about double sided textures flag. Latest version show them so I updated all meshes to allow double sided textures on them. This mean the textures now show outside and inside. 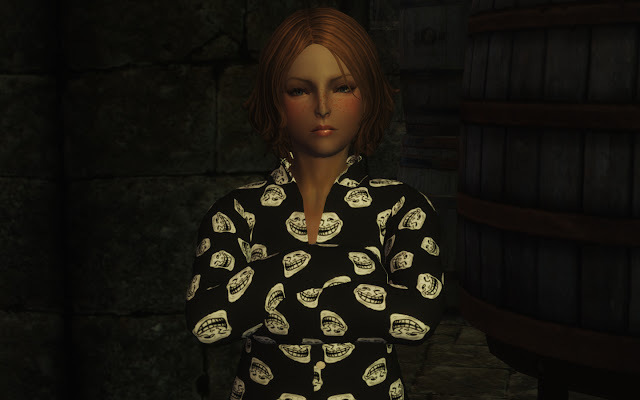 Thanks to Hepsy for those cute Pajamas. Oblivion, and now Skyrim, would have never be the same without them.